All three documents also recognize that a company’s quality culture is usually the base upon which a strong system of internal controls is built to ensure data integrity. However, WHO’s guidance is unique from the documents issued by FDA and EMA in that it also provides concrete steps to take towards building that quality culture within a company. In this article, we look at WHO’s suggestions and explore how to change and improve a company’s culture from a culture of blame to a culture of quality. 1. 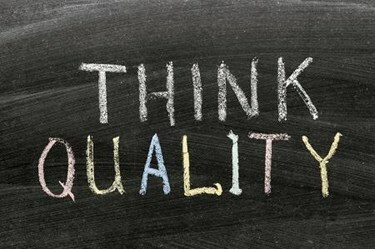 Tie quality to the company’s core values. Senior leaders should be communicating that the company’s data integrity measures are a core value of your company because they are critical to ensuring the safety, efficacy, and quality of drugs. Personalize the message by making the patients who rely on your products visible to your employees. Use newsletters, video messaging, posters, or meetings to allow the patients to speak to your employees. If your employees have actual patients in mind as they do their job day in and day out, they will be less tempted to take short cuts that could impact the quality of the product on which those patients rely. 2. Distribute a written code of ethics and proper conduct. The WHO guidance recommends creating a code of ethics and proper conduct to assure the reliability and completeness of data. All employees should be trained on the code of ethics and conduct, and it should be prominently displayed throughout the worksite. Keep in mind, however, that it will not be sufficient to merely train employees and then disseminate the written code of ethics and conduct. You must create an environment where those principles are actually followed. Employees will look to the example set by management in determining what the company’s core values are, and not to the written statement of those values. 3. Create a transparent and open environment for reporting problems. The WHO guidance emphasizes that “[a]n essential element of the quality culture is the transparent and open reporting of deviations, errors, omissions and aberrant results at all levels of the organization, irrespective of hierarchy.” As we know, employees are often naturally reluctant to report their own or their colleagues’ mistakes, so it can be difficult to create this transparent environment where employees feel comfortable coming forward. WHO recommends removing hierarchical constraints that can act as barriers. In the following sections, we discuss three key steps you can take in removing those hierarchical constraints that often hinder the timely discovery of problems. i. Provide an independent reporting mechanism. One way to remove hierarchical constraints is to create a reporting mechanism independent of management hierarchy. The reporting mechanism should allow for both authored and anonymous reporting. This type of independent reporting mechanism will allow those who do not feel comfortable reporting problems to their own supervisors to still come forward. ii. Establish an independent quality organization that reports directly to senior leadership. It is also important that the quality organization is positioned, at a minimum, at a peer level to other operational units, and that the head of the quality organization has a direct line of communication to senior leadership. The operational units are often driven by timeliness metrics, and some in those units may be tempted to sacrifice quality in order to meet such goals. By establishing an independent quality unit that reports directly to senior leadership, you will limit the ability of the operational units to create roadblocks in reporting quality issues. iii. Reward employees who bring problems forward. Rewarding those who bring problems forward is also a key step in creating an environment that is transparent and open. This will help employees understand that the goal of meeting a deadline or coming in under budget should never override the company’s concern for quality. Unless the problem-finders are recognized as bringing value to the company, no one will ever be brave enough to bring problems into the spotlight — for fear of being blamed for the problem. 4. Ensure employees understand the true cost of failing to implement a quality culture. Employees are often afraid of the short-term problems that arise when a quality problem is identified. It is your role to ensure everyone in the company understands that not identifying the problem and promptly correcting it will eventually cost the company more. It is often only a matter of time before FDA or another regulatory body discovers those failures, whether through a surveillance inspection, an issue identified in a recall, or an anonymous complaint. Failure to meet FDA’s expectations can result in import alerts, product recalls, the issuance of a warning letter, or a delay in the approval of a drug application. Extreme lapses can result in seizures, injunctions, and criminal prosecution. Dealing with the adverse consequences that arise from failing FDA’s expectations only adds to the cost of dealing with the original quality issue. 5. Make it your personal priority. As WHO recognizes, “[l]eadership is essential to establish and maintain a company-wide commitment to data reliability as an essential element of the quality system.” You must demonstrate that you personally care about building a quality culture. Be sure to give a consistent message, and repeat it frequently and in different forums to maximize the reach of your message. Use any communication tools you have at hand, including training sessions, all-hands meetings, small staff meetings, emails, social media, and impromptu visits to the shop floor. Go on a listening tour so you can identify cultural barriers to your message being received, which will help employees feel empowered and let them know that they are part of the solution. Employees will be looking to you, so it is critical that you are messaging to your employees that you are committed to building a quality culture and that this initiative is not going away. Taken together, these five key steps will put you and your company well on your way towards building the quality culture that regulatory agencies expect. With patience and persistence as you implement these steps, you will see your efforts rewarded as the cultural change takes root and quality becomes a top priority at all levels of the company. Cynthia Schnedar is executive VP of regulatory compliance at Greenleaf Health. She was formerly director of the Office of Compliance for FDA’s Center for Drug Evaluation and Research (CDER), where she led a staff of more than 300 doctors, scientists, manufacturing experts, pharmacologists, attorneys, and administrative staff. During her time at FDA, she spearheaded efforts to protect the American public from unsafe and ineffective drug products by ensuring that companies comply with federal standards for quality and safety. Among her many duties, Cynthia advised the FDA Commissioner, the CDER Director, and other senior FDA officials on significant enforcement issues. Before joining FDA in 2014, Cynthia spent more than two decades at the Department of Justice (DOJ), where she specialized in compliance and enforcement issues. She earned a B.A. from the University of New Mexico and a J.D. from the University of Texas School of Law.